Today at the 2007 Solar Power Conference and Expo, North America’s largest solar energy event, Sensicast Systems®, the world’s leading provider of turnkey wireless sensor network systems, today announced the availability of the latest addition to its family of SensiNet® Green Solutions for sustainable enterprises and renewable energy: a system for string-level monitoring of Photovoltaic (PV) solar power. The new Sensicast solution is based on newly available SensiNet DC Voltage and Current Smart Sensors for string-level monitoring of Photovoltaic (PV) solar power generating systems. Housed in custom, patent-pending NEMA-4 compliant enclosures for outdoor use, the DC Voltage and Current sensors work in concert with other SensiNet components including Temperature and Humidity sensors, Mesh Repeaters, Gateways and services software to provide a comprehensive system for power metering and for revenue-grade monitoring of commercial solar electric systems. The global market for wireless sensor network (WSN) systems and services is expected to skyrocket to about $4.6 billion in 2011, up from approximately $500 million today, according to a recent report from market research firm ON World. Headquartered in San Diego, Calif., ON World focuses on emerging wireless technologies. The market size was formulated based on ON World’s recent survey of industrial end-user companies. The survey found that one in three companies is currently using wireless sensing and control technologies, and that nearly half intend to investigate or plan wireless solutions over the next 18 months. As defined by ON World’s report, “WSN For Smart Industries,” WSN systems and services are two-way wireless communications between active (battery-powered) nodes, or a node and a gateway. 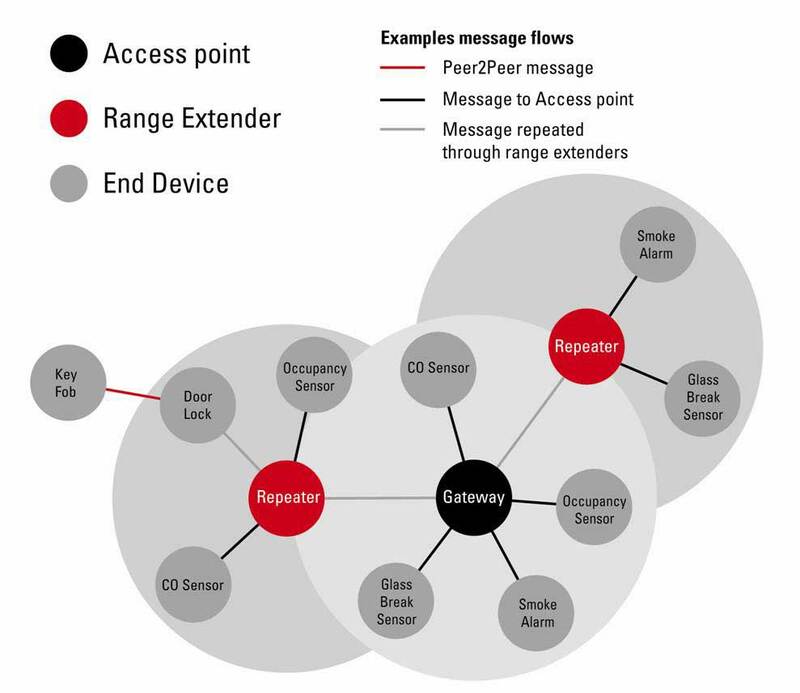 One node within the network—either point-to-point, point-to-multipoint or mesh—consists of at least one transceiver, a microcontroller and a sensor that measures a physical stimulus, such as temperature, humidity or light. As with an active RFID tag, each node typically transmits its own unique identifying number. Automated Target Detection and Tracking (ATR), a system developed by two Louisiana Tech professors, promises to make the tracking of suspicious objects by wireless sensor networks more precise and useful. Featuring fast and accurate algorithms, the technology is already helping the Department of Defense and the U.S. Air Force identify, classify and communicate information about targets detected by military sensor networks. Targets are picked up by ATR using remote sensors such as cameras and radars. Software then determines the targets’ positions and features, including size, shape, speed and rotational variations. Tthe October 2, 2007 deadline to submit an abstract to the Coastal Sensor Networks session at the 2008 Ocean Sciences Meeting (to be held in Orlando, Florida) is approaching rapidly. There was a lot of energy at the first Coastal Environmental Sensor Network conference encouraging a continued sharing of discoveries, applications, and developments. The Ocean Sciences Meeting in Orlando is a perfect venue. This conference is a joint meeting Sponsored by the American Society of Limnology and Oceanography (ASLO), the American Geophysical Union (AGU), The Oceanography Society (TOS), and the Estuarine Research Federation (ERF), and will be held on 2-7 March 2008. Abstract submission and additional conference details are available via the following web link: www.aslo.org/orlando2008. Submissions may be for oral or poster sessions. The abstract submission deadline is midnight (23:59 US, CDT) on Tuesday, 2 October 2007, but participants are encouraged to submit early. Texas Instruments has released v1.0.0 of the SimpliciTI network protocol, a proprietary low-power radio frequency (RF) protocol targeting simple, small RF networks (less than 100 nodes). SimpliciTI network protocol (see structure) was designed to ease implementation with minimal MCU resource requirements. It runs out-of-the-box on TI’s MSP430 ultra-low-power MCU and CC110x/CC2500 RF transceivers and is provided as source code under a free license, without royalties. Developers are encouraged to adapt the protocol to their own specific application needs. A new release with power management embedded in the stack is due in Q4 2007. Hardware? The new TI eZ430-RF2500 platform combines 16-MHz 16-bit MSP430F2274 microcontroller with CC2500 RF transceiver chip on a removable target board. This development tool is designed for low-cost, low-power, and low-speed sensor and control applications. The CC2500’s packet handling support is limited to CRC checking, which is adequate for many applications, as are the 64-byte FIFOs. This radio chip has a range of configuration options, including different operating frequencies in the 2.4-GHz band. The eZ430-RF2500, claimed the world’s smallest low-power wireless development tool is priced at $49, it includes a USB emulator to program and debug your application in-system and two wireless target boards. Perpetuum, the world leader in vibration energy harvesting, announces its PMG17 vibration energy-harvesting microgenerator can readily be used to power the Texas Instruments CC2420 single chip RF transceiver and MSP430 16 bit ultra-low-power microcontroller. As a result, sensor node manufacturers can now design battery-free sensor systems using the IEEE 802.15.4 standard even for the most data intensive applications such as condition monitoring. A vibration energy harvesting sensor node designed around the CC2420 by Perpetuum engineers is capable of sampling 2kbyte of vibration data and transmitting it over 100m (line-of-sight) every 60 seconds when only 0.025g of vibration is present. At this incredibly low level of vibration the PMG17 energy harvester produces up to 1mW, while at 1g the output is around 50mW, enabling the node to measure and transmit continuously. The node can be configured to measure and transmit much smaller data sets, such as temperature, more frequently or larger data sets less frequently, depending on the application. An application note to aid engineers designing self-powered wireless condition monitoring systems is available for download from the Perpetuum website. ChipSensors, an Irish start-up fabless semiconductor company, has developed a wireless sensor that is contained within a single chip. The chip includes fully integrated signal conditioning, microcontroller, memory and RF transceiver functions, while the surface of the chip can sense information about the environment, such as light, temperature, humidity or gases.